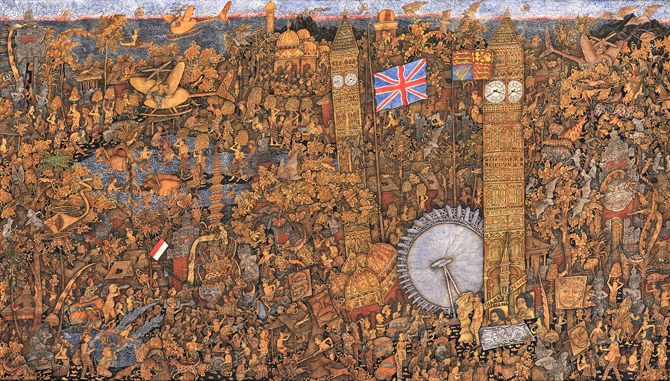 It is a little bit like "Where's Wally?" so it is really fun to look at. 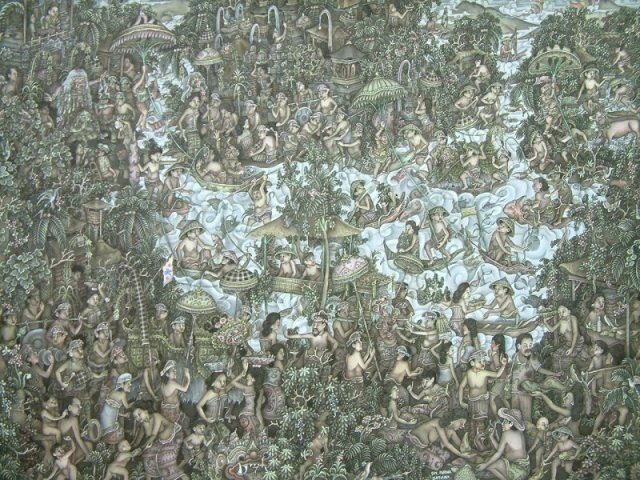 It reminds me of El Bosco in the sense that people in these painings do weird things to my eurocentric eyes. Because Bali has been receiving western influence for a long time (think of Gauguin) and it seems that like in most cultures the painings evolved depending on what the rich mentors liked, in this case, European mentors. 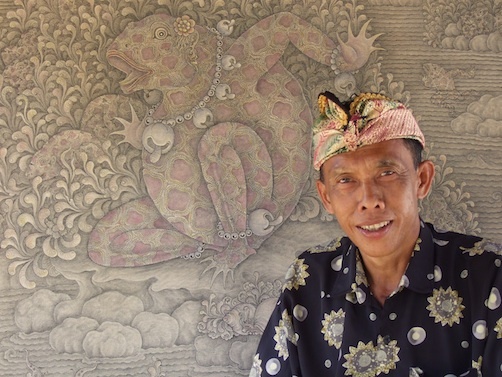 That mix of bali culture + mentor + wanting to be liked made some really funny art. I Wayan Bendi paints "Diana Spencer"
Primitive look: but a totally fake primitive look. Really funny and sympa! 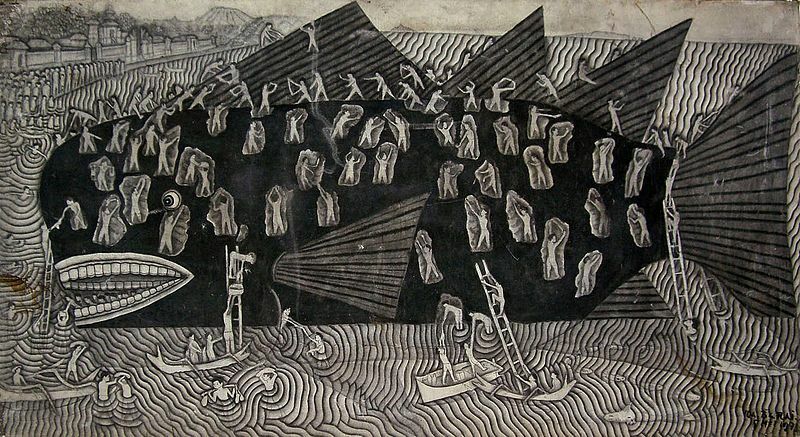 Ida Bagus Rai paints "Beached Whale"
Here's a fantastic guide to Batuan Art.